As I sit here and type this, I'm thinking hard about exactly what deer hunting has taught me, not only about animals, wildlife, and as an outdoorsman, but as a human being. When deer hunting is one of the most important things to you in life, you'll inherently spend a lot of time working at it. In turn, deer hunting will actually teach you a lot about life, and it's my baseline on how to be successful. Don't believe me? Well here's five life lessons deer hunting has taught me over the years. The first and possibly most important life lesson I've learned from hunting mature bucks is hard work is imperative to success, in the deer woods, and in society. I like to think of it in this way. I know a lot of lazy people in life in general. When I think of people that I know that are lazy, most of them are just waiting for something to great to fall into their lap. Sorry, but that's not how it generally works. The same can be said with deer hunting, and hunting mature bucks specifically. You might get lucky once or twice, but overall, a mature buck isn't going to magically appear in front of your stand if you don't put the work in. No matter how smart you are, or how much deer hunting knowledge you possess, if you work your tail off and continually try to improve, good things will happen. The same can be said for everyday life. I feel as though with everyday that goes by, society increasingly becomes more and more about instant gratitude. I want higher pay now, I want recognition now, I want this and that now, I want to shoot a big buck now. I think you get the point. If you want to be a successful deer hunter, patience is paramount, and to do it with a bow, it becomes even more intensified. But, by learning to be patient when it comes to hunting, it can help translate to life. I know I've become extremely more patient since becoming enthralled with hunting mature bucks. Sitting in a tree for hours upon hours, days upon days, all the way to months or years without sending an arrow, all for that moment of when you do finally clip on that release and pull back your bow is quite unique. It teaches you that in order to experience the greatest moments, you more often than not need to be patient, and realize that these come with time. A lot of patience is needed to get to this moment. It's a lesson that easily translates to being successful in everyday life. If you are someone who struggles to pay attention to detail in everyday life and you make the jump from casual deer hunting to hunting mature bucks, watch out, you may be in for a bit of a learning curve. Mature bucks are wildly smart, as they didn't become mature overnight or on accident. To successfully hunt them, you need to have a certain level of attention to detail. This is usually developed over time, and after getting burned once or twice, but once you nail down that attention to detail, your odds of success go way up. The same goes in life. Hunting mature bucks can teach you that it's the minor and what appear to be small details that make the biggest differences. It can help you stand out from others, make your significant other happier, make you more hire-able at a job, and I could go on and on. 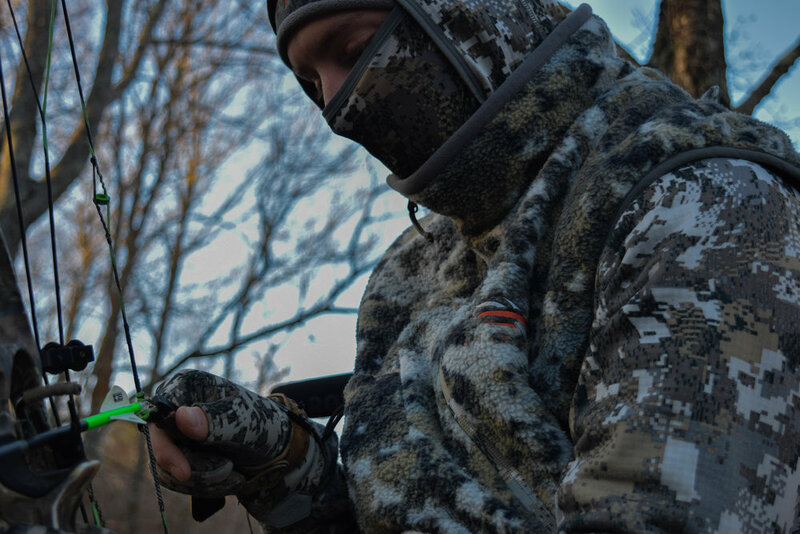 Attention to detail usually equals greater levels of success in the deer woods, and in life as well. RELATED: Read Attempting to Answer The Question "Why Do You Hunt?" So often, in every aspect of life, whether it be in your work life or how you hunt deer, people are so worried about others, and comparing themselves to how others do things. I personally think this is a fundamental flaw, and you'll only hurt yourself by worrying about others. Hunting mature bucks is a great way to teach you this, and it can translate to life in general as well. There are so many different ways to become a successful deer hunter and to consistently knock down mature bucks, and if there's anything I've learned over the years, the biggest teacher is through your own experiences. You can learn from others, and how they hunt, but each situation is unique to itself and by trying to emulate exactly how someone else hunts, it can be a deficient strategy. This is an important overall life lesson as well. Whatever aspect it may be, whether it's work, relationships, money, you name it, everyone has a unique situation, and certain things will work for others, while some things won't work. You can learn from others, but the biggest teacher will be life experiences and figuring out your own way for success. You can learn from others, but at the end of the day, the experiences you garner in the field and in life can be your biggest teachers. Through all of the lessons hunting mature bucks can teach you, discipline is the most intriguing to me. It takes a concerted efforts to be disciplined when hunting mature bucks, and the ones that do it best, are the hunters that are most often successful. Because, let's face it. There is so much whitetail hunting information out there, you most likely know what you have to do to be successful, but it's the ones that choose to do those things that are successful. You have to have the mental fortitude to choose to hunt with the right wind, to take the long access way into the stand, etc. If you are doing that while hunting mature bucks, odds are you'll have the discipline in everyday life. Just like with hunting, you most likely know what you have to do on a daily basis to win at life. The question is, will you choose to do them? Hunting mature bucks is unlike anything else. It takes a lot of work, time, and energy in order to be successful. Along the ride there's a lot to learn, not only to continually improve as a deer hunter, but to be a better person as well. Are there any other life lessons deer hunting has taught you? Let us know down below in the comments! Newer PostA Great Deer Hunter - How Is It Defined?